Everyone loves a really good chocolate chip cookie, right? Not too hard, not too soft, but lots of melted chocolate chips in the batter, baked to perfection so you can dip it in a nice, tall glass of milk and enjoy without feeling super guilty and sacrificing your diet. Although our kids don’t have an intolerance to gluten, I make a good attempt at foregoing grains as much as we can – especially in my boys. It’s definitely a challenge though – you don’t want to deprive them of the occassional snack, and these cookies fit the bill perfectly. These cookies are absolutely incredible – so much in fact, you might be able to toss out every, other, cookie recipe you have…. 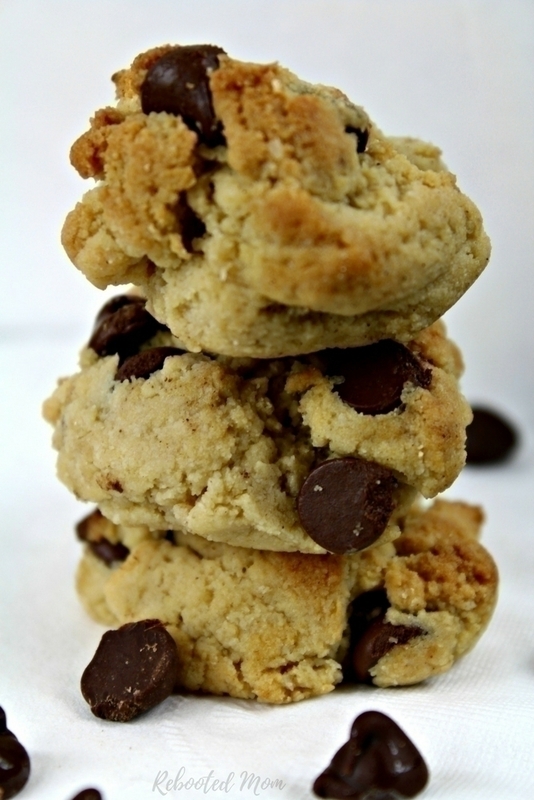 they are made with almond flour, with a handful of chocolate chips strewn in. 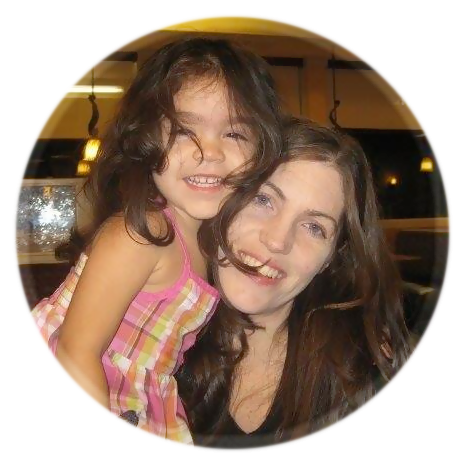 For us, they are a way to reward the kids, without having to worry about giving them something with white flour. The kids can feel satisfied with a single cookie in their lunchbox, and as much as our oldest doesn’t like anything with almond flour, she has no idea that these are (gasp!) made with almond flour. It’s always super fun when you can make something that they will eat, that puts a smile on their face, and not feel too guilty about them enjoying something that has a *little* sugar. Even the Mr. of the house has been enjoying them ~ and I have discovered that by leaving them on the counter, he’ll casually stroll through the kitchen and grab random cookies through the day to satisfy his sweet tooth. The recipe makes just enough for 15 cookies – but you might get more or less depending on how large (or small!) you make them. 2 Tbsp butter, room temperature. In the bowl of your mixer, combine the butter, vanilla, egg, and brown sugar and beat until smooth. Stir in the almond flour, and baking soda just until blended. Fold in the chocolate chips, adding more or less as desired. Scoop the dough by rounded tablespoonfuls onto your lined cookie sheet and push down to 3/8" thick. Bake for 9-12 minutes or until light brown - remove from the oven and let sit for 3 minutes before transferring to a baking rack to finish cooling. 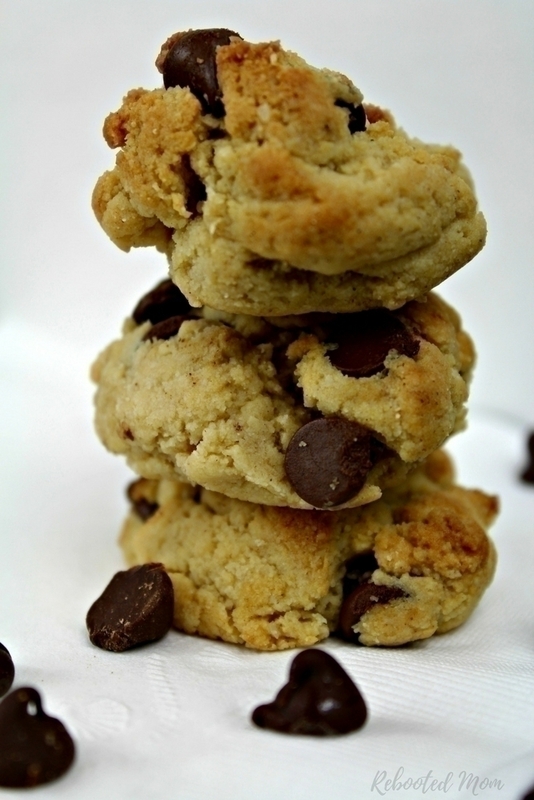 Share the post "Gluten-Free Almond Flour Chocolate Chip Cookies"